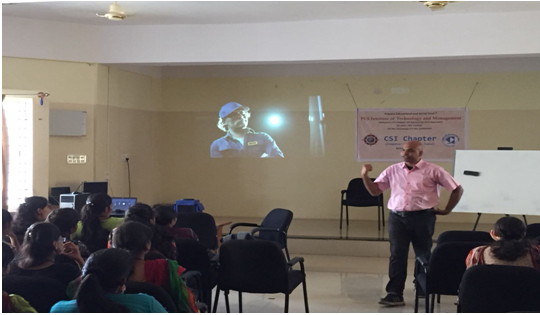 Department of CSE and ISE, PESITM, Shivamogga organised a student development activity in association with RotaryClub east, Shivamogga on 05-09-2018 in the department of CSE. 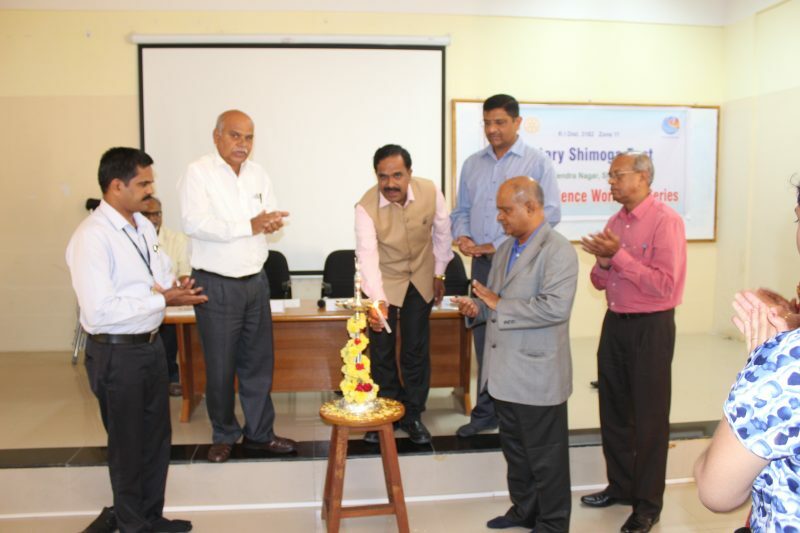 Rotary Career Guidance Series 2018-19 was inaugurated at PESITM, Shivamogga in the presence of Shri. Vasanth Hobligar, past assistant governor, Rotary club east, Shivamogga, Shri Vijay Kumar, Vice President, Rotary club east, Shivamogga and Shri Ganesh S, Secretary Rotary club east, Shivamogga. 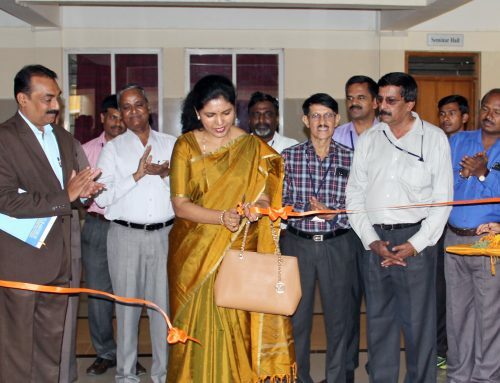 Dr Chaitanya Kumar M V,the principal of PESITM, Shivamogga presided over the function. 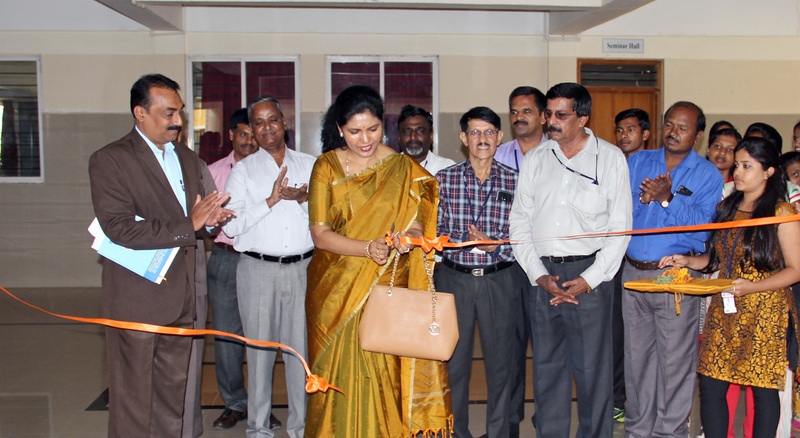 The head of the department of CSE and ISE along with the staffs and students were also present for this inaugural function. Inaugural session was begun by welcoming the delegates, faculties and students. Dr Prasanna Kumar H R, Hod, ISE welcomed and introduced the guests to the audience. During this inaugural function, Shri Vijay Kumar from Rotary club east, Shivamogga briefed the gathering about how this series of career guidance begun. He also explained the plans they have for upcoming events. 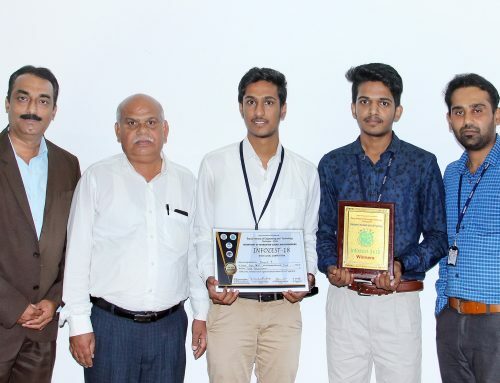 Rotary club, always well known for an unaccountable service to the society is now pushing forward for enriching the studentscommunity with current industry trends and provide students with all guidance needed to build their strong industrial technical base. This would help them to succeed in their professional, subsequently. 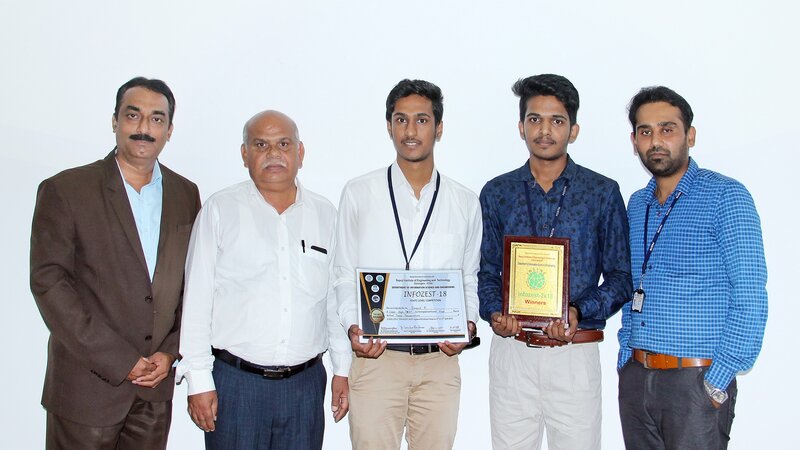 Rotary club east, Shivamogga in association with PESITM is planning to organise many such academic events for the benefit of the student community. Shri. 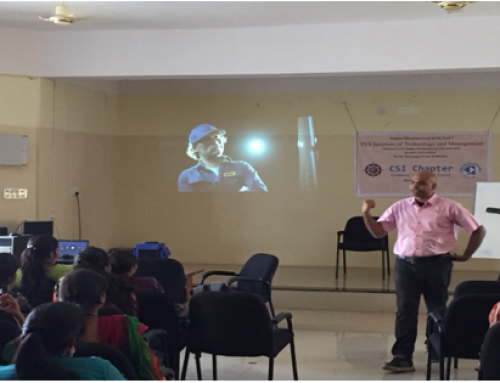 Vasanth Hobligar from Rotary club east, Shivamogga, addressed the gathering and briefed about the services rendered by the club for the betterment of the society and the community. Dr Chaitanya Kumar M V gave the presidential remarks and Enlighted the students present in session about the future trends. He urged the students to become the job providers rather than job seekers. The formal inauguration was ended by presenting a memento to the principal, HoD of CSE and ISE as a token of appreciation on the occasion of teacher’s day by the delegates from Rotary club east, Shivamogga. The technical session on IoT was continued there after by Shri Chidambar Joshi. Rotarian Chidambar Joshi has 26 years of IT industry experience and has worked 15+ years in IBM in senior management capacity. Mr Joshi is recipient of National Award from President of India Dr APJ Abdul Kalam in 2006 for his professional excellence and social service.